University of Nottingham > Blogs > China Student Life > UNNC life > Chinese Golden Week – What’s It All About? Chinese Golden Week – What’s It All About? Some international students might wonder why we just had a week off from school after starting only a few weeks ago. Today, I’m here to tell you why. To be honest I had to research a bit to know the real reasons…but hey, it’s the effort that counts, right? Golden Week, aka Mid-Autumn Festival, is a celebration of one of the two most important Chinese holidays and is enjoyed by millions! The festival is on the 15th day of the 8th lunar month of the Chinese calendar (late September), which is a date that parallels the Autumn Equinox of the solar calendar. The moon is the brightest and fullest at this time, making it an ideal time to celebrate the abundance of the summer’s harvest. 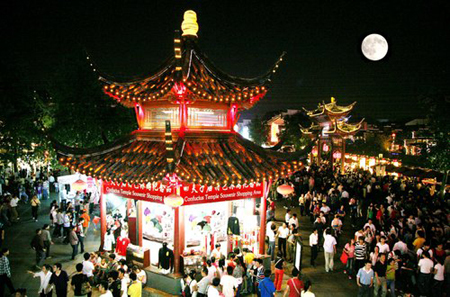 Golden Week or Mid-Autumn Festival is also known as Moon, Mooncake, or Lantern Festival. The traditional food of the festival is moon cake and close friends exchange it during this season. 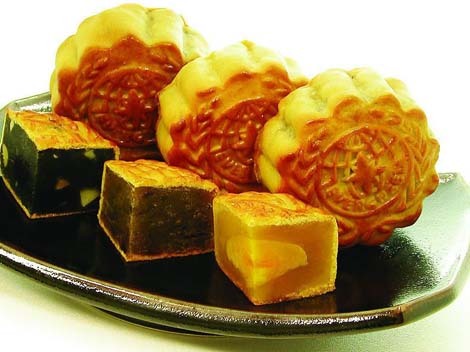 Over 280,000 tons of moon cake was produced this year, with a variety of fillings being offered: red bean, lotus seed, chocolate, dried fruit, dried meat, and egg yolk. You may have guessed already but yes, my favorite is the chocolate filling! Most tourist places in China are full of people during this time. I went to Shanghai last year and remember feeling overwhelmed due to the number of people everywhere. This year I decided to stay closer to home, exploring places I haven’t been to in Ningbo and visiting friends. 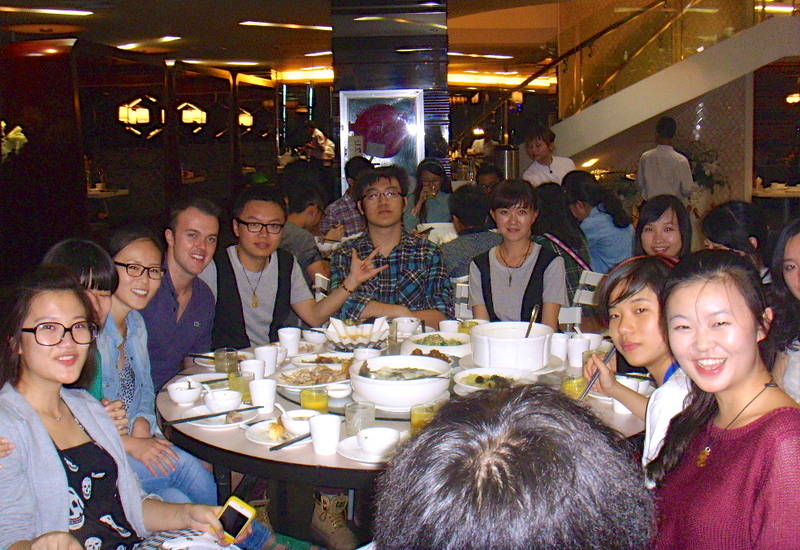 On the day of the festival, I got to spend it with about 20 Chinese friends from Yunnan province. We had great food together, exchanged moon cakes, and took photos of the moon! It’s exciting to learn about Chinese culture piece by piece, finding out more and more every day I’m here. Well I hope you now understand more about Mid-Autumn Festival and its significance here in China! Thanks for your post on Golden Week, I think it’s often hard for people in the UK to really understand what Golden Week is like. You don’t mention anything about the travel chaos (not just in tourist places) as everyone heads home from where they are working, often many provinces away. Actually you are right, I stayed in Ningbo to avoid extreme crowdedness this time but even here the shops/restaurants/lake were full of people! I guess you really can’t avoid it in this period!